The SRX-T423 is the brighter yet Sony projector – an incredible 23,000 lumens, increasing up to 30,000 in high brightness mode. It more than doubles the light efficiency of competitive 3D systems, with 40,000 lumens of 3D brightness as dual-projection, delivering a contrast ratio of 3,000:1. The projector’s 4096 x 2160 pixel matrix achieves more than 8.8 million pixels ultra high resolution. With installation flexibility, the SRX-T423 is ideal in large-scale commercial and educational venues. It can be easily deployed for a wide range of entertainment, auditorium and lecture hall, simulation, theme park, museum, and planetarium applications. Along with ease of use, system integrators and A/V professionals appreciate a reduction of maintenance issues with this projector. They can switch lenses from other SRX-T100/T400 Series projectors with the SRX-T423, and can readily deploy this projector in dome configurations as it offers a vertical tilt angle of +/- 30 degrees. The 4096 x 2160 native resolution of the SXRD 4K panel represents over four times the resolution of full HD (1920 x 1080 pixel) projectors. The panel can display a single ultra high resolution image up to 4096 x 2160 pixels or be switched to simultaneously display separate images in Quad HD configuration on-screen. The SRX-T423 delivers an incredible 23,000 lumens, increasing up to 30,000 lumens in high brightness mode. It more than doubles the light efficiency of competitive 3D systems, with over 20,000 lumens of 3D brightness as dual-projection. SRX-T423’s very flexible installation capability of tilted installation and lens shift stands out from all the other high brightness 4K projectors. SRX-T423 with HBM achieves 30klm with low lamp wattage 4.2 kW and that costs lower than competitive high brightness projection systems. 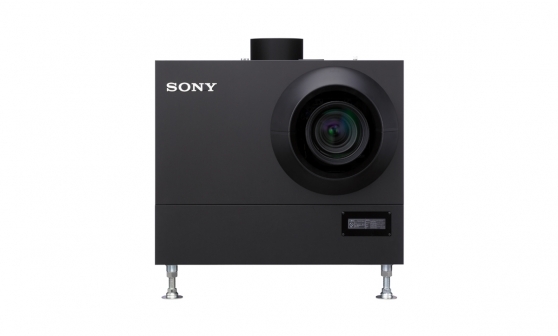 The on-screen pixels projected by the SRX-T423 projector are approximately ¼ of the size of pixels displayed by HD projectors, for any given screen size. Additionally the SXRD 4K display panel has tiny inter-pixel spacing and specifically designed 4K lens to ensure that no pixel structure can be seen in the on-screen image when viewed at close quarters. The LKRL-Z series of zoom lenses offers solutions for a range of installations requiring throw ratios from 1:1 to 7:1. Most lenses in the LKRL-Z series have a lens memory function enabling the zoom and focus settings for a number of image formats to be stored in the projector memory for quick reframing when switching between sources with different image formats. The LKRI series of video input boards offer solutions for range of installation requiring to handle either DVI-D signals, HD-SDI high definition video signals or HDMI signals. Those brightness are measured in accordance with ISO 21118. It is usually called“ANSI lumen”. Unique to Sony, advanced SXRD display panel technology ensures stunning Ultra-HD 4K images with vibrant colours and excellent contrast. Sixteen Sony 4K SXRD visualisation projectors have helped create the world’s highest-resolution virtual reality simulator for French car-maker Renault. 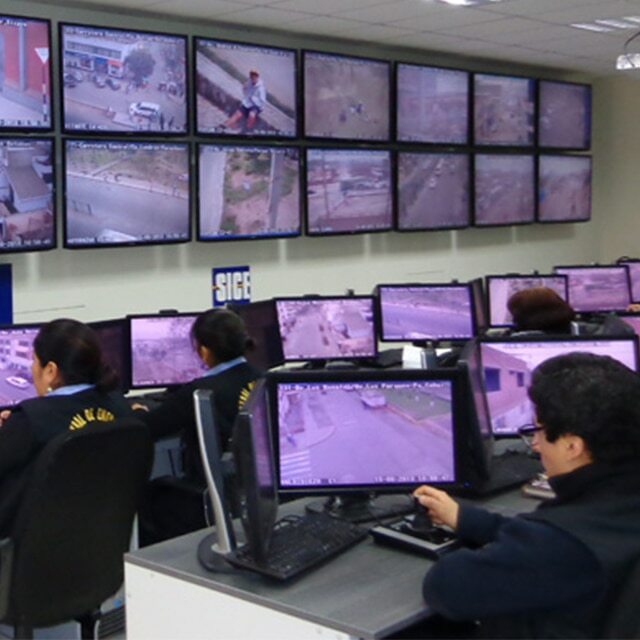 Find out how our security cameras were installed to monitor the district of Ate Lima in order to reinforce security throughout the jurisdiction.